The younger brother of one of the men accused of murdering Drummer Lee Rigby was paid thousands of pounds by MI6 as part of spying operations in the Middle East, The Mail on Sunday has discovered. Jeremiah Adebolajo, who uses the name Abul Jaleel, was also asked to help ‘turn’ his brother, Michael, to work for MI5, who were already aware of Michael’s close links to extremist groups. 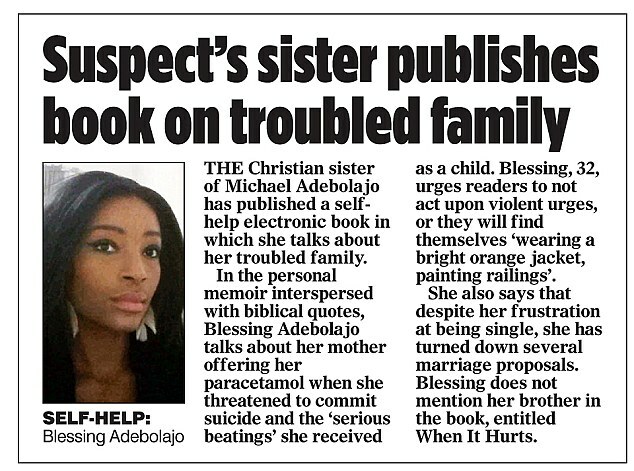 The claims are made by the Adebolajo family and a well-placed source who contacted The Mail on Sunday. Jeremiah Adebolajo, 26, who works as an English teacher at a university in Saudi Arabia and returned to Britain this week, is to be questioned about his brother by Scotland Yard counter-terrorism detectives today. Government sources have already confirmed that Michael Adebolajo was known to MI5. Last week it was alleged that he rebuffed efforts by the security service to recruit him as a spy. Michael, 28, was discharged from hospital on Friday and was yesterday charged with the murder of Drummer Rigby and attempted murder of two police officers on May 22 in Woolwich, South London. Now it has emerged that MI5’s sister agency, MI6, had targeted Jeremiah, a married teacher based at the University of Ha’il. MI5 and MI6 work closely together on counter-terrorism operations. MI5 focuses on home security, while MI6 targets threats from overseas. A document seen by The Mail on Sunday details concerns raised by Jeremiah’s family about MI6’s alleged harassment in April last year. In it, Jeremiah’s sister, Blessing Adebolajo, 32, who works as a human resources assistant in London, says her brother was approached by MI6 while he was working at the University of Ha’il – an important strategic location in the Middle East because it takes only one hour by plane to reach 11 Arab capitals. A friend of Jeremiah has confirmed her account. The friend said: ‘They asked him about Michael and asked him to help “turn” him to work for MI5. ‘They also told him to go to certain hotels, order a cup of tea and wait for his contact. The document, prepared by case workers with the charity Cageprisoners, says Blessing approached the East London charity for help because she was worried about the harassment and intimidation of both her brothers by the security and intelligence services. She says MI6 bought a ticket so Jeremiah could fly to an Intercontinental hotel in another Middle East country (believed to be the United Arab Emirates) and that he was given local currency worth more than £1,000. She also alleges Jeremiah told her that he was interrogated about specific people and was shown pictures of himself with named individuals taken in the UK. But Blessing told Cageprisoners that Jeremiah had ‘strongly’ rejected MI6’s offer to work as one of their agents. As a result of this rejection, his sister says he was ‘intimidated’ until he was finally told that he would be stopped from leaving the UK. The friend said that two years ago Jeremiah was approached by UK security officers when he was held at Heathrow on his way back from Saudi Arabia. During the interview, he was warned about what happens to Muslims who don’t help the Government and was shown documents that confirmed people he knew were being held in prisons throughout the world. Police and security services are under huge pressure to explain what they know about Adebolajo and his alleged accomplice, Michael Adebowale. Despite warnings stretching back ten years, Michael Adebolajo is said to have been considered ‘low risk’ by MI5. He was photographed at high-profile protests – even standing next to hate preacher Anjem Choudary. He was arrested in Kenyan 2010 over his alleged plans to travel to Somalia to join terror group Al-Shabaab before being returned to the UK. Jeremiah married Charlotte Patricia Taylor in 2008 at Sutton Register Office in Surrey. Shortly afterwards the couple are believed to have left for Saudi Arabia where Jeremiah found work teaching. 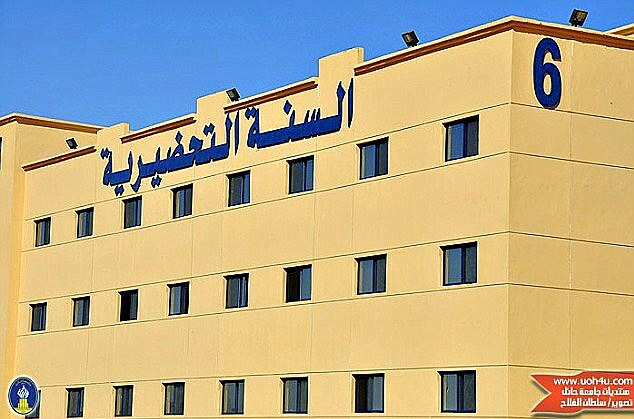 The University of Ha’il is one of Saudi Arabia’s most progressive education establishments and was established by Royal Decree in 2005. It consists of five colleges – Sciences, Medicine and Medical Sciences, Engineering, Computer Science and Engineering, and a Community College – and has more than 16,000 students.